For this International Women’s Day, I can’t think of a better woman to celebrate than my mother, the person who taught me by her simple example that I am whole and complete unto myself, that I am strong and capable and intelligent, that the earth is a friend who must be loved (and who needs lots of healing and care), that singing is the greatest joy, that community is more important than success and personal satisfaction more interesting than recognition, that I can live happily with very little (and be of greater benefit for it! ), and that plants (and mushrooms, as evidenced in this photo!🍄) are great creatures to make friends with! There is so much more I could say about this amazing woman… It’s because of her, I’m sure, that I have such a strong and personal relationship with the natural world, which is to me the most important thing needed in these times ~ for in that relationship, that homecoming, a deep healing arises ~ we find we truly do belong here, we orphans of the soul, and our lives are given meaning in the reciprocity of give and take. 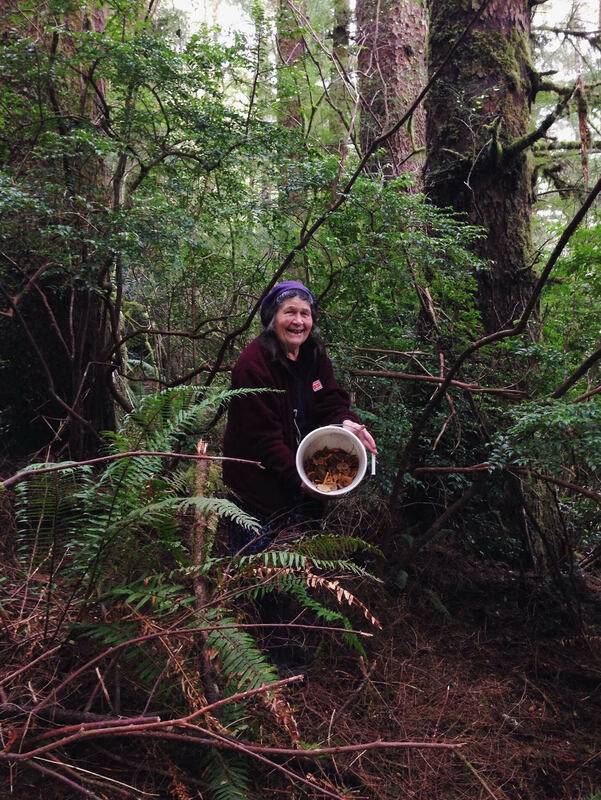 Here is my mama gathering mushrooms, receiving, but she can just as easily be found battling invasive weeds, picking trash out of streams, tending fruit trees, and essentially offering her hands in any way possible to making the world around her a more beautiful and healthy place. To the woman who climbs apple trees, sleeps out in the open to wake to the morning dew gathering, pedals her bicycle religiously, and cares so determinedly ~ you are such an amazing example of what it is to be Woman, and Human! I love you. All content © Ariana Saraha Music, All Rights Reserved. Never miss a concert, new release, or special announcement! Sooo sorry about the popup, but we're guessing you're here because you have some interest in our music, and we'd love to be able to keep in touch about it! We promise, NO SP#M! We only send concert announcements that are relevant to your region, and occasionally send news about projects or musings on life that I think would be of value. We'd be so happy if you'd join us in this beautiful, wild adventure!